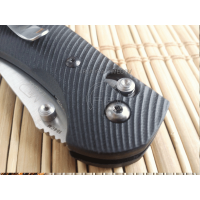 The handles on the knife Zero Tolerance 0562 Hinderer SlicerModel - Wave XLHandles Material - Carbon..
Custome scales, handles 3D Classic, for Spyderco Paramlitary 2 knifeMaterial G10.. 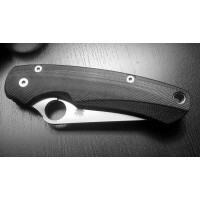 The spacer for Spyderco Paramilitary 2.Plain and simple! 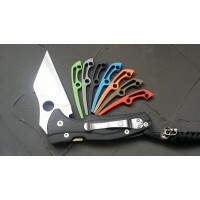 The two most important criteria, I guided t..
Custome scales, handles Grand CF, for Spyderco Paramlitary 2 knife..
Custome scales, handles 3D Classic, for Spyderco Paramlitary 2 knifeCarbon Fiber..
Spacer for Spyderco Yojimbo 2.The excellent knife Spyderco Yojimbo 2 has only one, a drawback.Lack o..